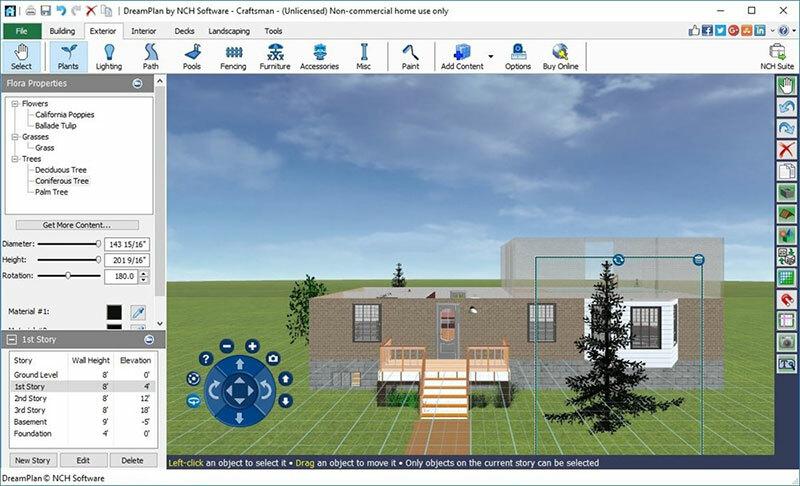 See your dream home plan realized in minutes with this home and landscape design software for Windows. Visualize your dream in 3D. Create floor plans in minutes for a home or apartment. Design kitchens and bathrooms with style. Create multiple stories and add furniture, appliances, fixtures and other decorating options. Customize paint and textures. Build the landscape, swimming pool, or garden that you've always wanted. Build up or lower your yard's terrain for added character or curb appeal. Add a patio, porch swing, grill and more.